Just because he can cause some missed sp1&2 doesn't mean he has any definitely advantage over Megatronus. Try fighting Robotronus in raids when you get Scorpy and you'll know. 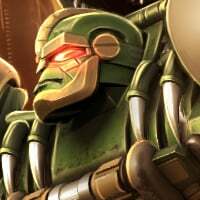 And SP1 needs to be successful,,, but if you fight wrong Robotronus, then you won't get use it unsuccessful. I gave up years ago trying to figure out kabams reasons for how they introduce characters on here and mcoc. They've said before that they work with Hasbro on the design and the releases, so ultimately it's Hasbro's call (at least for Transformers). Yea I know that. I meant order wise lol. 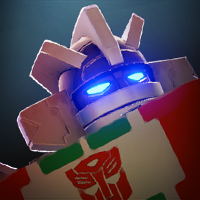 You know what, after the smash direct, scorponok is the second coming of christ. Anyone have a duped 5* yet? 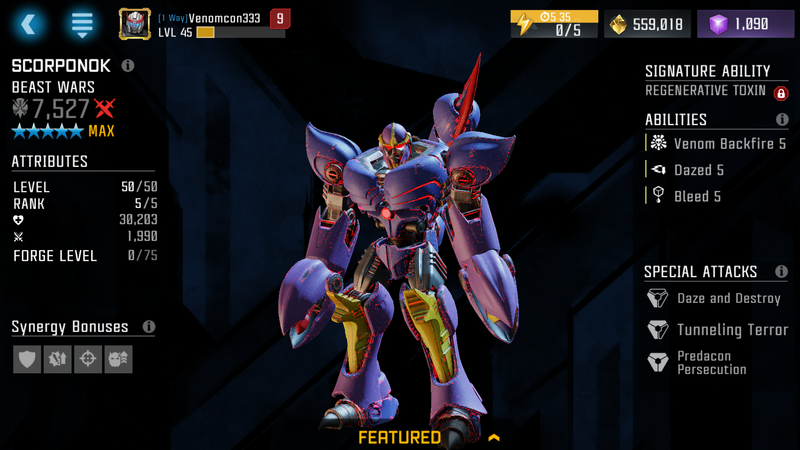 Scorponok looks a bit more red than usual. Visual glitch? This is on Android btw. Mine looks like this after numerous restarts . 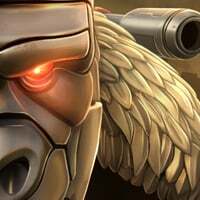 So who is the best warrior now? 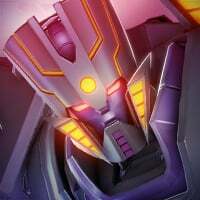 So, Are here anyone who knew SoundWave and Scorponok heavy can be sidestepped even know f you're against the wall. It just found it recently when I was against the wall,and he threw heavy , so try this I have nothing to loose and it worked! 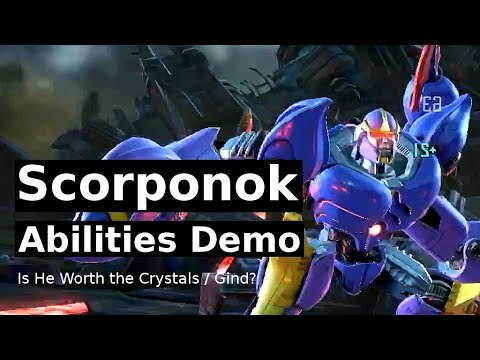 I'd like to share a video showing some of Scorponok's abilities & synergies in action. Hope it helps those still deciding about getting him or not. Or maybe you prefer a more visual supplement to the intel report and in-game texts. He's too timid to step to the foreground when doing the winning pose? Why he looks so red? Has anyone tried using Primal against Scorp (with signature unlocked) in raids/defense, I find it very hard to beat him? Scorps signature totally took out my primal. Scorp manages to heal more from my damage dealt because he keeps gaining venom charges (up to 11 at one time). 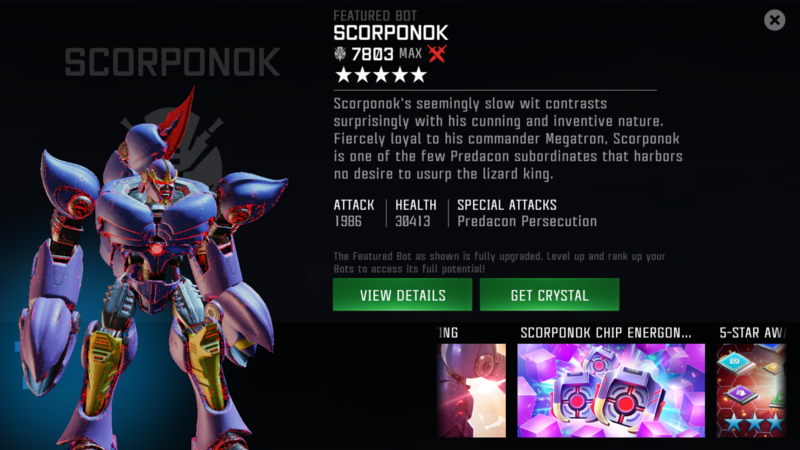 I keep dodging his heavy, and SP2 (basically any attacks that deplete the venom charges), and most of the time Scorp throws out sp1. In the end scorp manages to chip away at my bot and I lose. 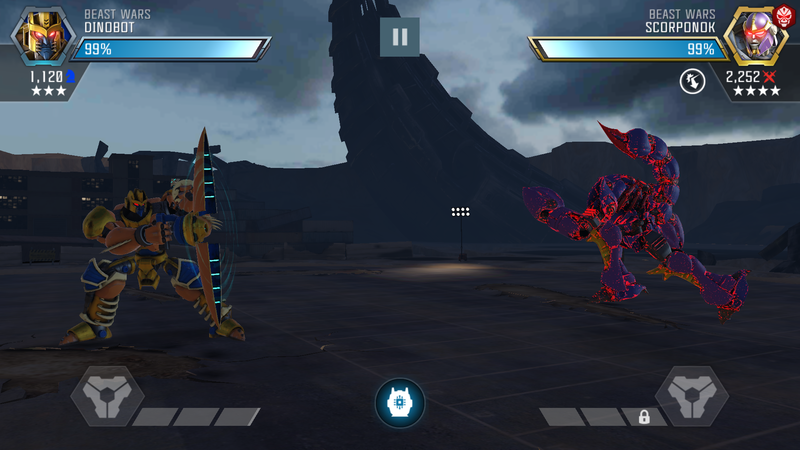 I have tried to on purposely let scorp deplete his venom charges by giving him free hits, but that was not a good idea as I tend to raid against much higher level bots so can't afford to get hit much. 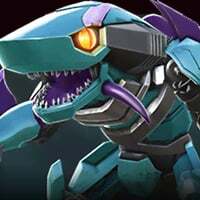 I will use a different bot against scorp now, but didn't expect Primal (one of the better bots, who also has class advantage) to have such a hard time, especially when playing like a ninja is actually a disavantage.